This little sleeper cottage has a glorious breeze that offers the peace and relaxation for anyone who loves nature and historical meaning. There is one room with a king-size bed. This property also has a bathroom with a single shower, a small kitchen area that includes ONLY a mini-fridge, a microwave and a coffee pot. 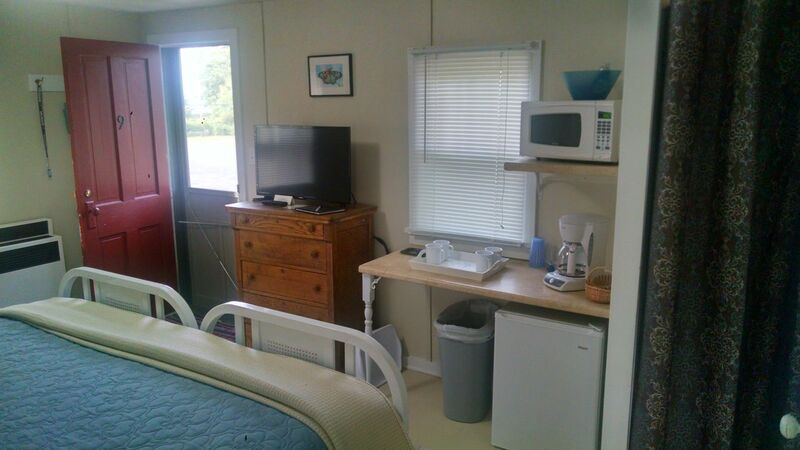 The Lake Breeze Cottage is very small. 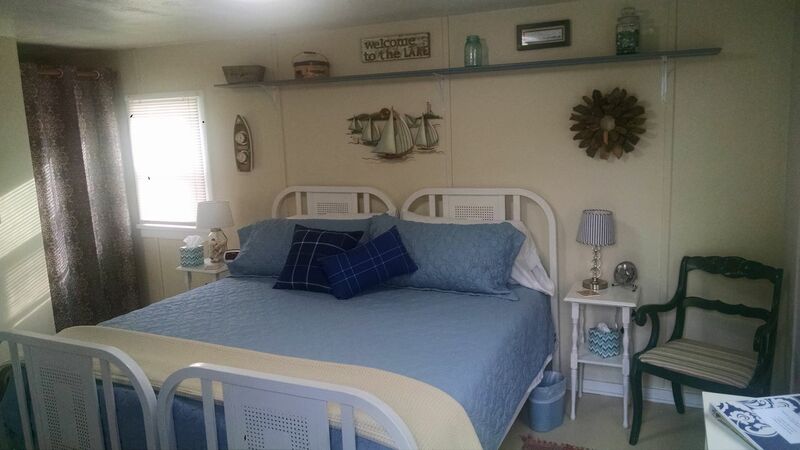 It is surrounded by 3 other cottages and the road leading to the Eagle Harbor Lighthouse. The spacing between the cottages is tight, as neighbors are close. Beach: The beach is just a short walk across the street. This beautiful sandy beach is perfect for swimming, and even has an old-fashioned slide! Beach Chairs: Each cottage has beach chairs, beach bags, and a line to hang up your beach towels outside! Cable: Yes, there is cable! Cell phone service: Cell phone service is generally unreliable in the U.P. Fire pit: There are NO fires allowed at the cottages, but down by the beach you can make your own fire with driftwood and/or logs others may have left behind. You can also purchase wood bundles at the General Store in Copper Harbor. Grill: Charcoal grill. There are also grills at the park. Laundry: Shared use of all 4 cottages, outside in it's own storage shed. Pets: Sorry, pets are not welcome. Picnic Tables: There are picnic tables near for everyone to enjoy. Privacy: All four cottages are right next to each other. Swimming: Swimming is definitely recommended at the beautiful beach down. There are rafts available in the cottage for you to use. TV’s- There are new TV’s in every cottage. Washer & Dryer: There is a laundry room with new appliances. Wi-Fi: Yes there is Wi-Fi. 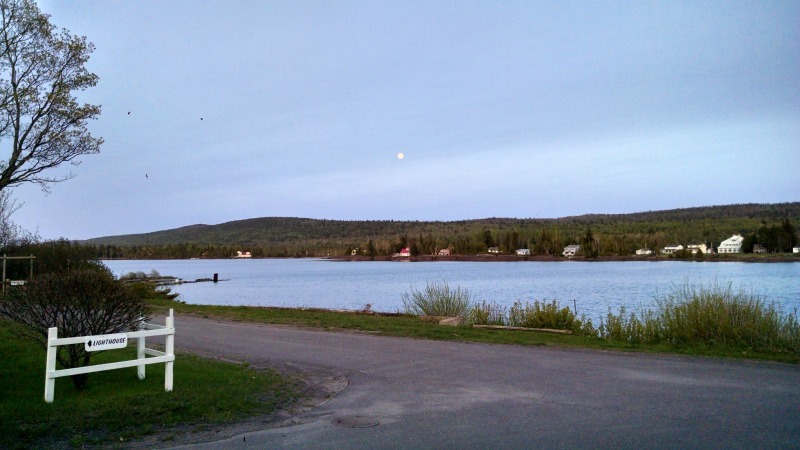 Copper Harbor is a town that is a short 14 miles away from the cottages. In Copper Harbor you can find some very unique places that are a must see while you are in town! The Brick House- This is a microbrewery where you can find all of the finest craft beers in the area! The Haus- Authentic German food that you must try! The Bakery- Freshly baked goods are produced here every day. The General Store- Across the street from dining is where you will find an old fashioned general store that has a gas station as well. State Campground- Historical sightings where Indians once were. Eagle Harbor Restaurant- Come to this very delicious restaurant where you will find the freshest fish and the coldest craft beers! Gift Shop- “The Gem Store” is the perfect gift shop, especially for anyone who is a rock hound. Great Sand Bay- Similar to the Traverse City “Sleeping Bear Dunes”, you will get this feel here! Just a short 3 miles away. Lighthouse- The lighthouse is just a two minute walk! There is a historical museum and a gift shop that also provides a huge observation deck where you go up the steps to sit and watch the freighters go by. Playground- In the middle of the village, there was an old fire station turned into a huge playground for kids with picnic tables and grills. Houghton is a short 30 minute drive and there is an airport in the area where you are able to rent a car. This city is on your way up to Eagle Harbor and is where we suggest buying your groceries and anything you may need for the property! There are also gas stations here as well. Michigan Technological University (MTU): Just 30 Minutes south of the Eagle Harbor Cottages. 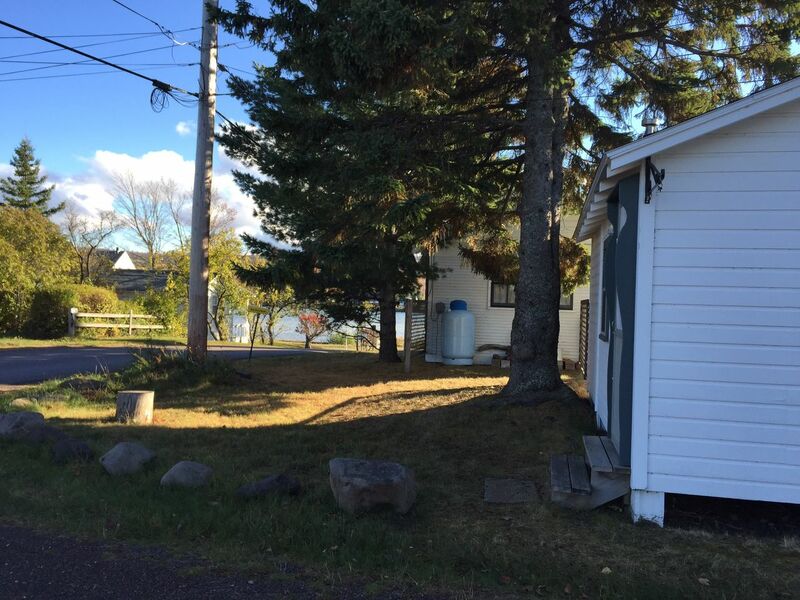 These cottages are an ideal way to give your student space while you enjoy the gorgeous Keweenaw Peninsula! Kelly, we're happy that you enjoyed staying at Eagle Harbor- Lake Breeze, and we hope to see you again. Thank you for being a great host! We loved the space - cozy and perfect for our UP trip to enjoy the fall colors. Great location and value. Cute little cabin and quiet. Clean, everything we needed. We really enjoyed your place and had a great stay! Would recommend to others. Bethany, thank you for this great review. We are so happy that you enjoyed staying at Eagle Harbor- Lake Breeze, and we always appreciate when our guests recommend us to their friends! We hope that you return also. Cozy cabin and great location! Nikki, we're glad that you liked staying at Eagle Harbor- Lake Breeze, and we hope to work with you again! Gloria, we are so happy that you enjoyed Eagle Harbor- Lake Breeze, and especially that you stayed comfy in the cold, windy weather. Michigan weather - you have to love it! We hope to see you back again. I found Lake Breeze perfect for my stay in Eagle Harbor. The cottage was very neat and clean when I arrived. Though small, there was plenty of room for me and my gear. I highly recommend staying here! Jacob, we're so glad that you enjoyed staying at Eagle Harbor- Lake Breeze. We'd love to ha ve you back again! wonderful place! right next door to our favorite lighthouse in the area! also about 15mins away from brockway mountain drive, a definite must if your up here! bugs can be a bit much in July but I'd love come back for a fall or even winter trip! Ashley and Thomas, we are so happy that you enjoyed yourselves, in spite of the bugs! Aren't the lighthouse and the sunsets marvelous? We'll look for you again in fall and winter. We have family that lives in the area. We actually were married at Jacobs Falls 28 years ago. We had a great time and thought that the cottage very cute and clean. Someone left a wildflower bouquet on our door step! :) We would stay there again. Donald, I love that you got married at Jacobs Falls 28 years ago, and how perfect for you to stay at Eagle Harbor- Lake Breeze for your vacation this year. 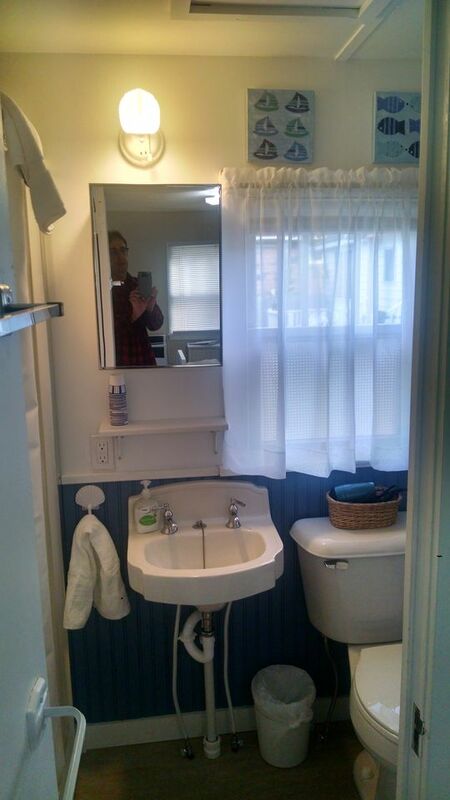 It is such a special, intimate cottage. We do hope to see you again! "Perfect location on the driveway to the lighthouse and the deck that provided a spectacular view of both the sunset and the freighters! Walkable to the Eagle Harbor Inn with delicious, reasonably priced food and local beer selection. 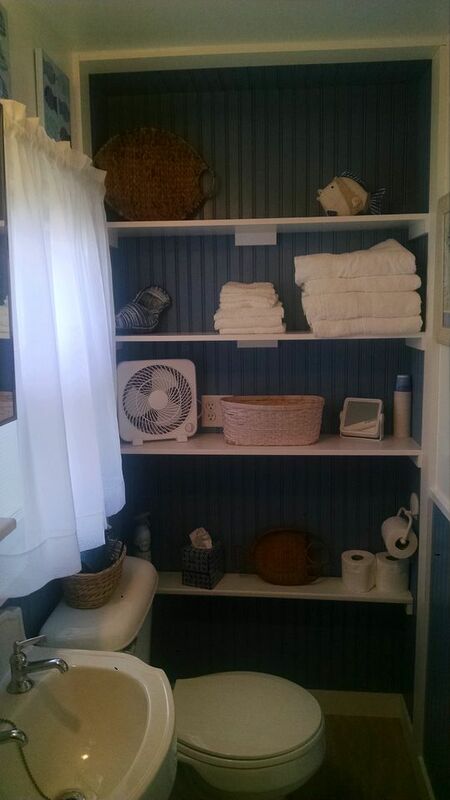 Cottage was furnished with all the details including fresh towels and cinnamon for the coffee! The cottages were extremely close together however and the washer and dryer were not in the cottage--the size was much smaller than expected. The location trumped all!" Cute cottage. Very clean. We had a nice stay. Thank you! We are happy you enjoyed your stay. Thank YOU for renting one of our 54 properties. Please consider us when booking in the future!